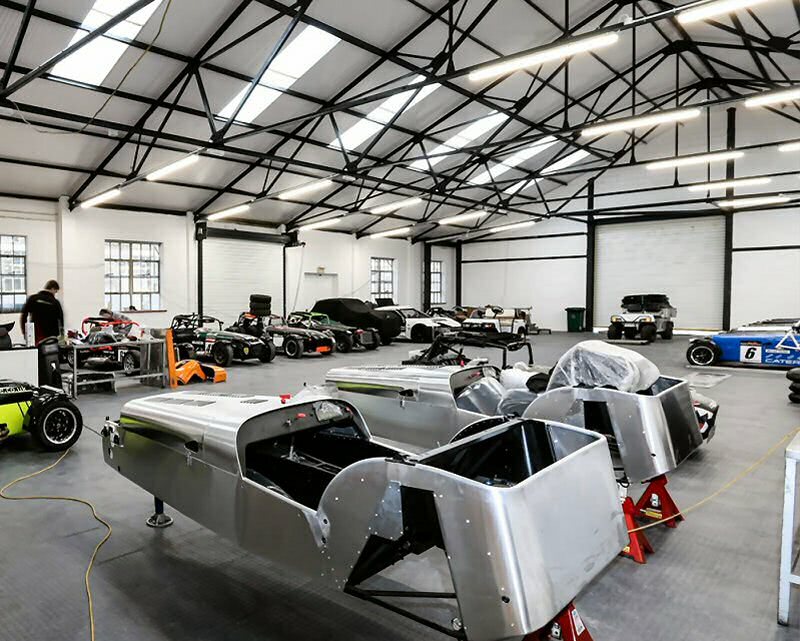 The new DPR specialist service centre enables DPR to provide the same quality service for Caterham road cars to complement the at-circuit services provided to Track and Race customers. Based in Redhill the site is well situated for customers in London and adjoining areas as well as being close to Brands Hatch. 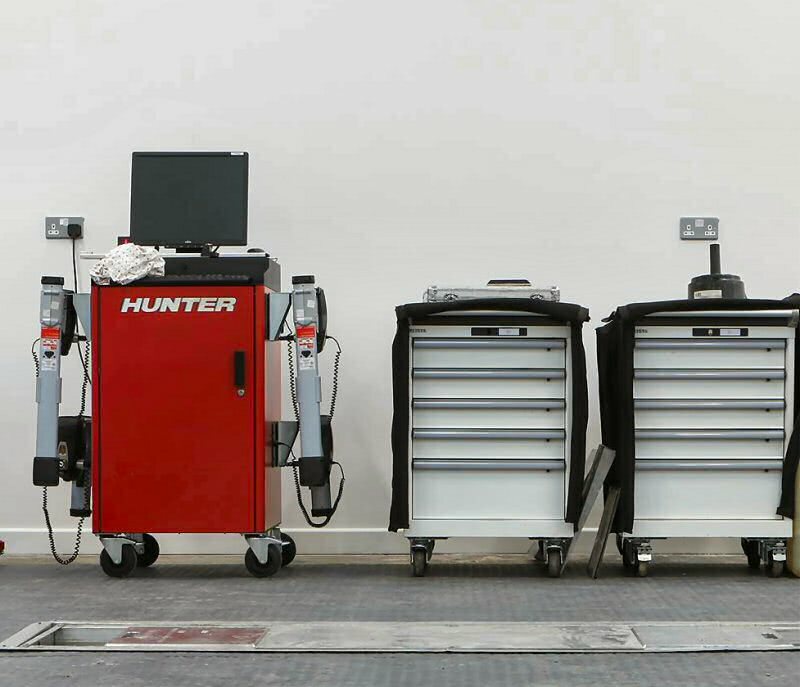 DPR’s high-performance engineering services benefit from a comprehensively refurbished workshop to include equipment from Draper Tools, flooring by Ecotile and new Lista cabinets, worktops and units. 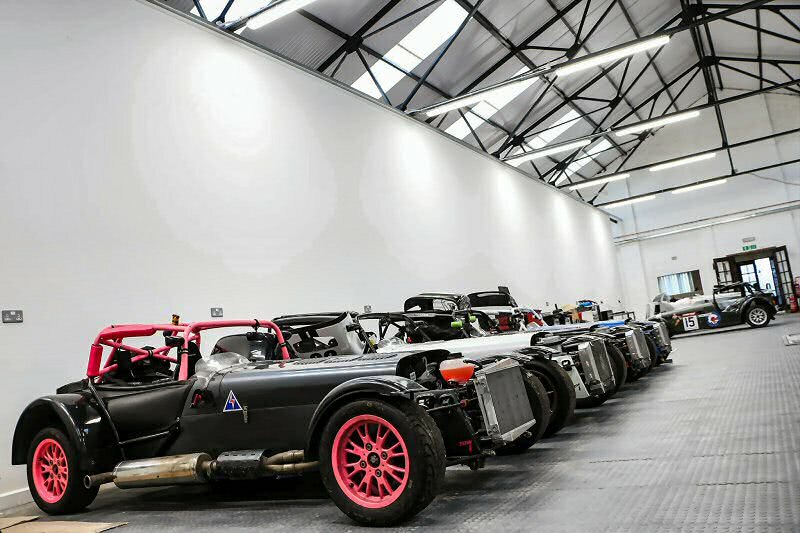 The workshop bays and engineering environment provides a clean and efficient working environment; each car has its own bay and units, including all electrical and compressed air outlets. This site was obtained in May 2015 as a run-down 1950’s workshop with no space to park vehicles. The workshop was reduced in size from 10,000 square feet to 6,000 thereby providing the required external rear service area. The rear of the workshop required a new rear wall that has a roller shutter high enough to allow HGV loading within the workshop. A new state-of-the-art roof ensures high light levels and satisfies the latest requirements for high levels of insulation. Solar panels ensure that the cost for workshop electricity is minimal. The workshop lighting is entirely LED based and was provided by Earlsmann who modelled the installation to provide the required lighting levels across the workshop. Installation was carried out by NCS Technology. The overhead lighting is activated by motion sensors and light levels adjust to a constant level taking into account natural light through the roof panels.